A set of flashcards to use when learning the Ants on the Apple poem. 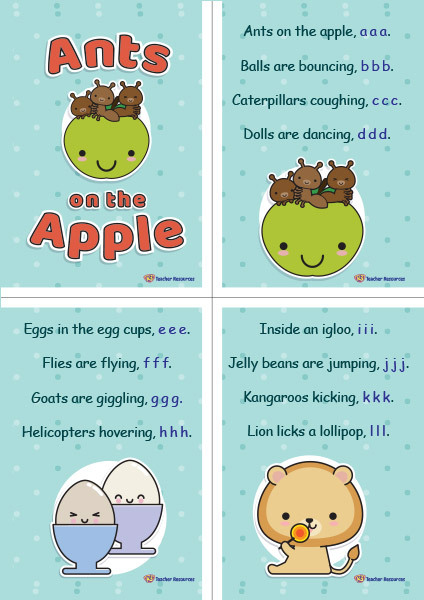 Use this resource when learning the phonics and alphabet poem – Ants on the Apple. Select the font and colour option required for your class. Print, but and laminate the flashcards. Use the flashcards as a prompt when teaching the children the poem. Use in conjunction with the Ants on the Apple Poster.